Four concepts define our philosophy: people and the environment, design, quality and innovation. Four concepts are behind our philosophy: people and the environment, design, quality and innovation. BJC is a company engaged in designing, manufacturing and marketing series of mechanisms for over 90 years. Today, at its facilities in Rubí, it makes the Siemens BJC and DELTA brands for the whole of Europe. 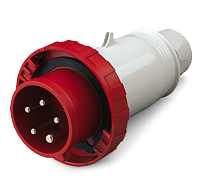 The CETACT® plugs and sockets are designed according to the CEE standard, “International Commission on rules for approval of Electrical Equipment”, and are the best solution for the connection of devices in general industry, agricultural facilities, steelworks, warehouses, sites, laboratories, etc.